Do you know that awkward feeling when you walk into a room, or sit at a restaurant table, and the people in your near vicinity are having some sort of “thing.” I mean, you can’t imagine what might have transpired, but you know that at this point in time, they are at a juncture, and you are uncomfortably, and uncontrollably present. They could be scowling, or painfully silent. Conversely, they might be arguing at any number of decibel levels. And there you are, trying not to make eye contact. But listening ever so carefully. You are trying to discern any evidence of a trail. You scour your brain, looking for the reason which might explain the variance between these two. But it remains a mystery. 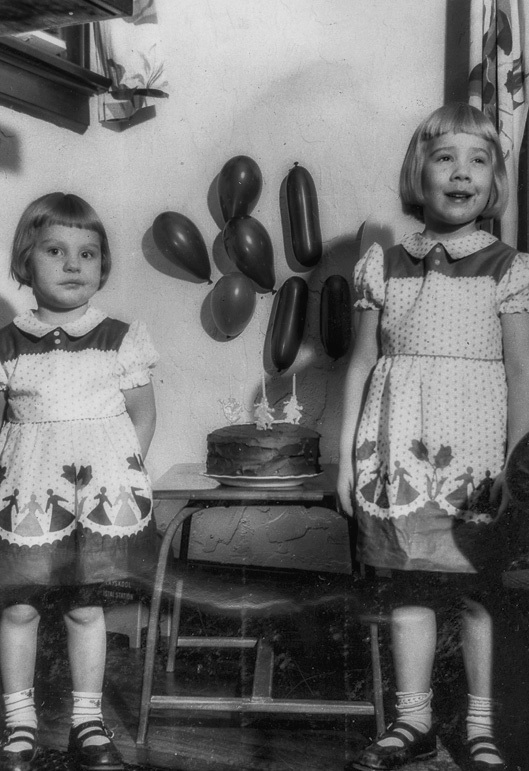 That is sort of how I felt when I saw this photo of my two oldest sisters. Oh sure, I can put on my guessing hat. There are three candles on the cake. Sue, the smaller, and darker, looks older than three to me. But… I guess it is her birthday. Ann, the bigger, and blonder, looks to be the one who is truly upset at the mishap, which occurred moments before the lens did its capturing. • Her socks won’t stay up. • She hates her matching dress. She is OLDER for god’s sake. • Just got the crap trimmed out of her bangs. • She put her finger in the icing and got nailed for it. • She is upset by the balloon animal on the wall… which went terrible wrong. Now Sue, just seems a little bummed that things aren’t going so swimmingly on her birthday… so she gives the camera one of those pouty, mouth shrugs. You know. There is a point to all of this. And looking at the next photo…. apparently, it did get all better. 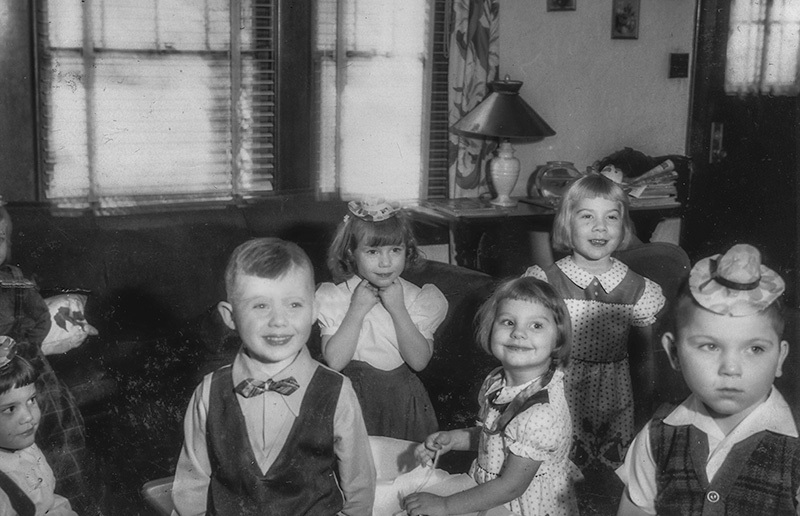 I think the Party Hats may have helped everyone, except for the kid in the corner of the frame. No yippe-ki-yay for him. BUT….. that phrase….. is one of the hardest ones to “take” when you are in the “thick” of something. You know the feeling. It is in the smack dab of lousy. And there you sit. Arggghhhhh. It never helps in the minute. But it IS all too true. 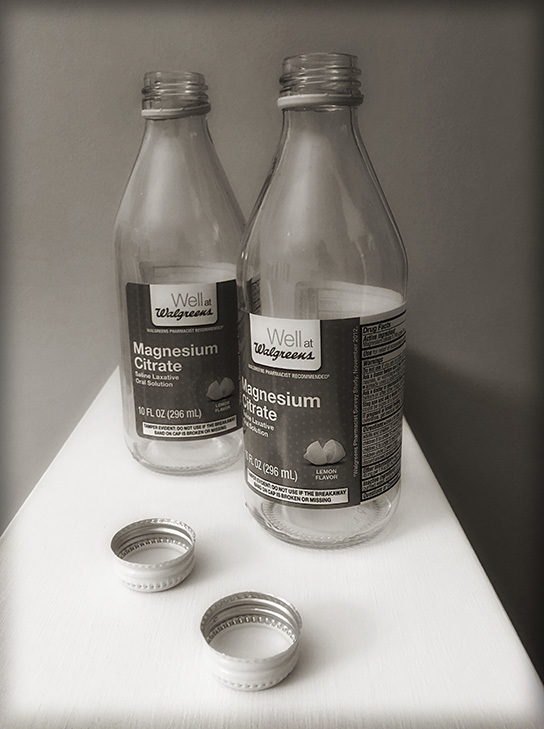 I guess I am telling you this because I just drank 2 bottles of Magnesium Citrate. If you don’t know what it is… Google it. Yep. It is true. This too, shall pass. Sometimes more quickly than I’d like.